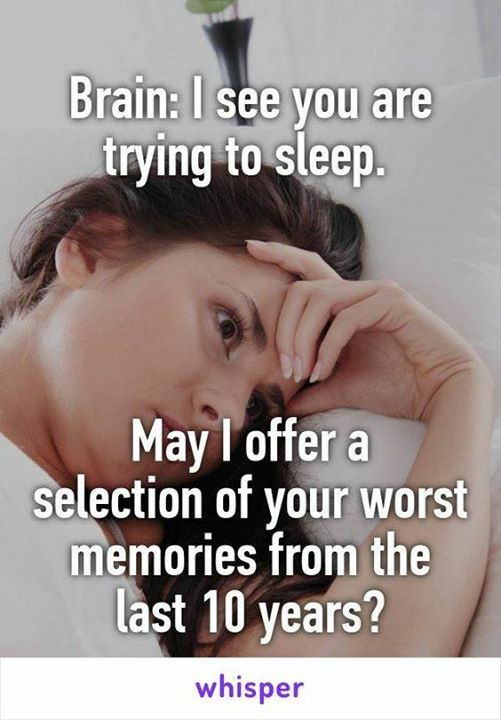 BRAIN: I SEE YOU ARE TRYING SLEEP. MAY I OFFER A SELECTION - ProudMummy.com the Web's Community for Mums. BRAIN: I SEE YOU ARE TRYING SLEEP. MAY I OFFER A SELECTION OF YOUR WORST MEMORIES FROM THE LAST 10 YEARS?